A couple of months back, there was a power cut in my area. It was unusual given that during my half-a-decade stay in Mumbai, this had never happened. The heat bothered me, the lack of wifi connectivity bothered me, the darkness bothered me, but what bothered me the most was that I had nothing to do. So, I left my flat and the building, and walked around in circles around my society. Dark and quiet but for the sound of vehicles carried over from the main road. Hordes of others had taken my approach and come out, we shuffled along slowly, zombie-like, our eyes unaccustomed to the blackness that the moon failed to penetrate. The uncertainty regarding what was to be done had drawn us out. Almost like a post-apocalyptic event. Someone commented that a transformer nearby had given up after years of dedicated service, and work was on to repair it, it shouldn't take more than 45 minutes. How long since I had used the term? Growing up in a town near Kolkata, loadsheddings were a daily occurrence. I remember that we got a generator, and subsequently an inverter, but before then, I had grown accustomed to it. It wasn't unusual for the power-cuts to last an entire night. No fan, no AC, all we had was hand-fans, serving the dual purpose of a fan, and the weapon of choice for my mother on my exam result days. Back before I knew what Murphy's law was, I knew the load-shedding law. Exciting cricket match, one over to go, 6 runs needed, (yes, that was nail-biting), the power-cut WILL happen. 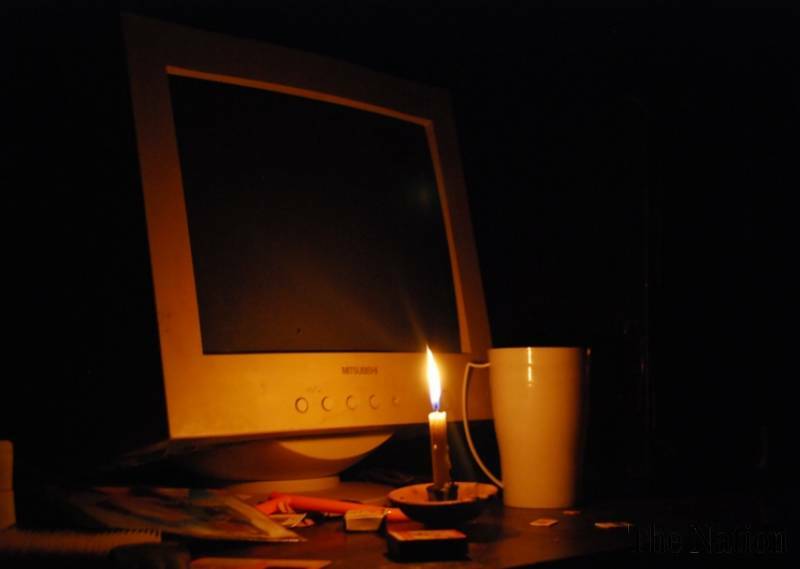 The night before exams, load-shedding will happen, and will last longer than usual. Note that this was used as an excuse come result day. Peak of summer, with newspapers declaring that this has been the hottest summer in ten years, load-shedding will last the longest on the hottest day. Just as you enter the loo to do your business and you are just starting to aim....well, you get the idea. And while I don't know the scientific name of that insect that you see in the rainy season, I can describe it as the one which loses its wings, a lot. In times of loadshedding, they used to gather by thousands at the sight of a source of light, and since the light used to be from the lanterns and candles, you had those pesky little things all around you. So, god help you if you happen to be having dinner. But, it wasn't all bad. More often than not, along with the old hurricane lamp, out came the ludo board, and we as a family cherished that ludo time. On the summer days when the odds of the power coming back seemed remote, we went to the terrace with our pillows and chatais and just lay down and looked at the stars, and then slept without a worry in the world. Sometimes our neighbours were also up to the same thing and we had conversations from our rooftops. It was like yahoo chatrooms, with different discussions taking place simultaneously. My father, otherwise a man who uses his words with extreme economy, for some reason regaled us with stories on nights like those. It could be because of the age-gap, or because of where you are from....but maybe you haven't faced load-shedding like I have. And I am not sure if that's entirely a good thing. I came back from my sepia-tinted memories and decided to call my parents, the number of zombies around me had increased in the meantime. I asked my mother about load shedding and she confirmed what I feared, they had stopped decades back. I asked if we could sleep on the terrace when I go home for Dusshera and she asked why would we want to do that, besides, it wasn't safe anymore, with all the crimes and robberies in the area. 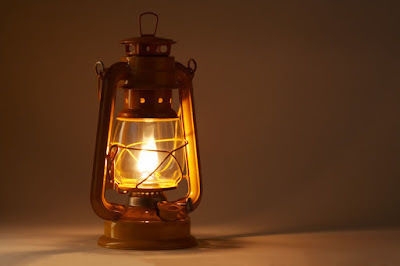 I asked if we still had a hurricane lantern because it had been ages since I saw an actual one besides the ones seen in decor stores and village themed restaurants, or of course as an election symbol. She said she was watching TV and that I should call later. Someone around me commented that fixing the transformer would take longer than anticipated. Thankfully, I was still getting a 4g connection and had more than 70 percent battery left on my cell phone. I downloaded an app for ludo and started playing.